Everything your class needs to start with Because Learning’s standards-based lessons! More and more classrooms, schools, and districts are adopting rigorous STEM standards. This creates remarkable opportunities for students. But implementing these standards into an already-stuffed curriculum presents a unique challenge, even for experienced educators. 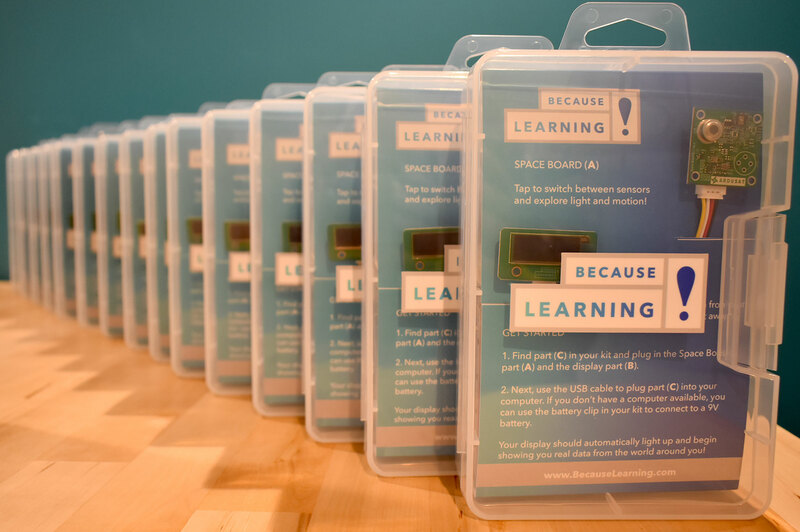 With the Because Learning Classroom Launch Pack, educators gain instant access to resources that make standards-based instruction a breeze. Each Lesson includes a detailed teacher guide to show exactly which standards are being covered. Plus, since each classroom is different, the Lessons are designed to be flexible. This means they easily adapt into your teaching style or classroom needs. Best of all, the Classroom Launch Pack is a cost-effective investment that can be used for years to come. Fill out the form below to get in touch with a Because Learning representative and learn more. What’s in the Classroom Launch Pack? Want a custom quote to bring Because Learning’s platform to your classroom, school, or district? Fill out the form below, and one of our learning experts will contact you within two business days.